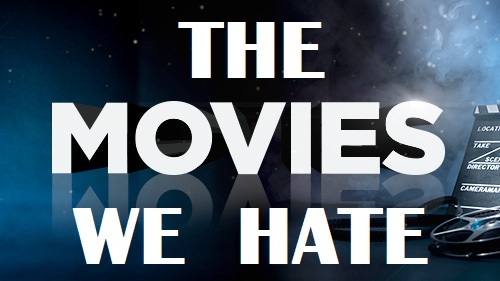 https://top100project.files.wordpress.com/2017/08/movies-we-hate.mp3 Rated R because you can’t express proper disgust without a few swearie wordies. The 71st Next 100 Project podcast is a special episode. We lowlight 15 films that we’ve long loathed. Ryan’s got a Bottom 10 list while Bev only insults 5 flicks. Oh, the vitriol! Plus we answer some of your emails. Dash over to Sparkplug Coffee for some joe, then listen to us rip into some maddeningly crappy movies. FOR THE RECORD: Bad Boys II wasn’t really a “monster hit” when you look at how much it cost to make. Also, Bev says “what’s to like about Remy,” but she means to rag on Linguini for being untalented & charmless.